The folks at AquaGear sent me a note asking if I wanted to review some gear of my choosing. That is a no brainer for me, I love trying out gear and sharing my experiences. So I went to their website https://www.aquagear.com/ and started poking around. They have quite a large selection Of items and I was having trouble choosing something. I thought about getting some paddles, then thought better of aggravating my shoulder injuries. I thought about getting some fins or kick board, but I just use the ones at my local YMCA. So after a drawn out, indecisive stretch by me, I went with something I already know and love, Aqua Sphere Kaiman goggles. 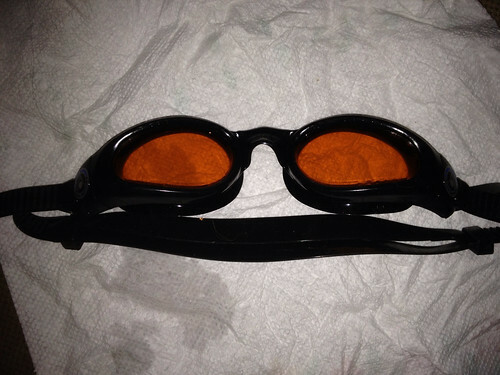 I went through the painless Aquagear ordering process and within a couple days, I had my goggles in hand. I ordered a pair of black goggles with smoked lenses since I already have a pair of blue with blue lenses for the pool and a pair of black with mirrored lenses for really sunny days. I've also lost several pair over the last couple years. Sometimes I leave them in the shower at the Y and sometimes I give them away. I gave a pair to a friend that just did Knoxville 70.3 and he loved them too ( and lost them in the race :-)). 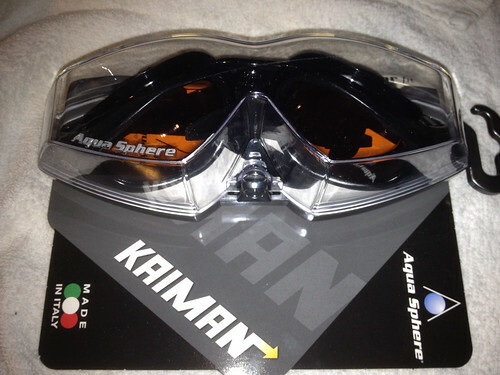 When I first started swimming a couple years ago, I experimented with several different brands of goggles and once I tried these Kaiman's I knew I found the right ones. The adjustment is super easy to pull, yet they lock in place. They are wide for a good field of view and no "goggle eyes". I really haven't found anything I don't like about these goggles except that I keep leaving them at the Y :-). If you are in the market for some new swim gear, check out Aquagear. 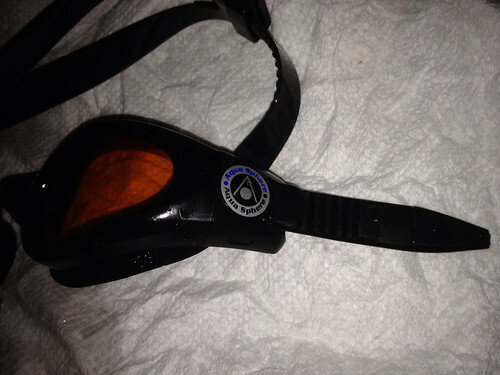 Good goggles are so important to enjoying the swim, nice to hear the Kaimans work so well for you. I've been on the lookout for good goggles for 3 years and have never really found anything I'm crazy about. I will maybe give these a try! I know this is going to come as a shocker to the blog world, but I'm doing a lot of OWS right now (shhhh, don't tell, but I'm going to do a little triathlon next month :))...my goggles are cheapy crap things but they don't leak and if I lick them inside, they don't fog (too much), but the ows clinic chick said we should get some wide angled goggles to help in spotting. I'm all over these puppies! Thanks! LOL...I love the last pic!!! I really need new goggles because mine stunk!! I will definately try these out and I like that they are wide! 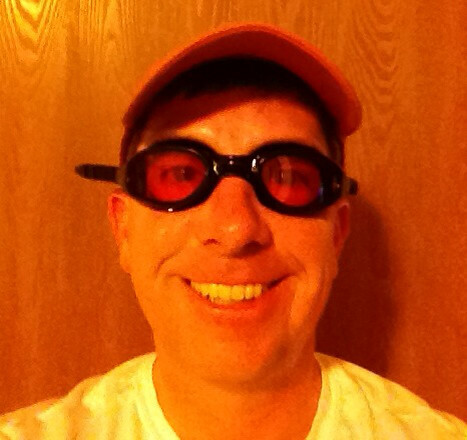 It's so hard to look normal in goggles, huh? These sound like I could use them at the pool when the damn kids splash water in my eyes sending my contacts into convulsions.